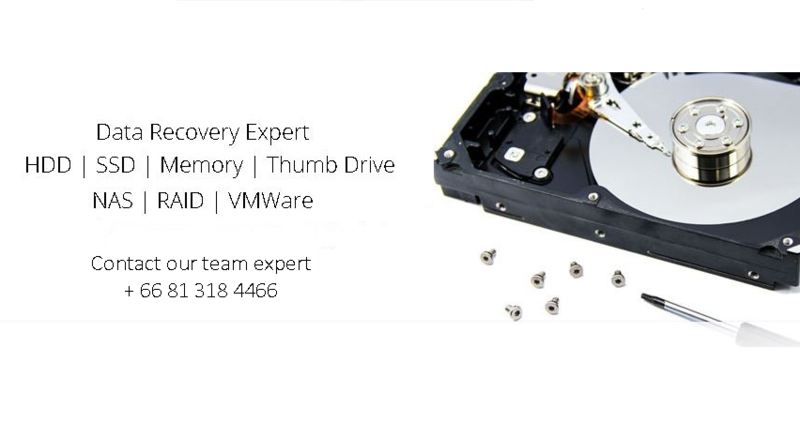 DATA Recovery Service Trust Thailand's most experienced data recovery service company. ATL Recovery streamlines the data recovery process with a four-step course of action designed with you and your data in mind. 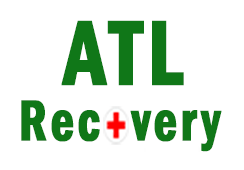 The ATL Recovery process involves four steps - Consultation, Evaluation, Data Recovery and Support. Need immediate help? Call +66 813 18 4466 for a free consultation and obligation-free quote. From initial consultation to ongoing support, more businesses and consumers choose ATL Recovery solutions in any data loss situation -from simple to the most complex and catastrophic recovery jobs. If you have lost important files or data that needs recovering then the first step is to request a free consultation with one of our data recovery representatives. You can do this by filling out our Free Quote Form or by calling +66 81 318 4466. Assess your data loss situation to determine the best, most cost effective solution and pricing options - we provide tips and advice to ensure that you handle our hardware in a manner that reduces further damage and maximises the recovery potential. We may also provide advice such as contacting the hardware manufacturer to see if the cost of the recovery is covered under the product warranty or suggest running our software solution on the drive prior to sending it in for a full recovery service. We will discuss service level options (standard, priority, emergency or remote data recovery) and provide you with a price range for your data recovery service and advise on the next steps to take. After receiving your media, our Data Recovery Evaluation Team will access your media and provide an expert opinion. Our Customer Service Representative will then contact you and go through the specifics of your data recovery case - they will provide you with recovery options and a fixed pricing quote. The free evaluation applies for single hard drives (HDD). Other media may have an evaluation charges. Once you approve the fixed quote you will be sent a data recovery contract to fill out and return. On receipt of the contract ATL Recovery will start your recovery. During the recovery process our engineers will perform repairs and recovery of data using over 120 proprietary tools. You will also be given access to our customer portal ATL Support that allows you to track your job's progress, status and ongoing details of your recovery service in real-time. Once the data has been recovered we will deliver the recovered data on an encrypted external hard drive. You will be provided with some simple instructions on how to access the recovered data and if you require additional assistance then we have world-class customer service and technical support staff available for assistance. ATL Recovery provide a flexible range of data recovery services designed to meet your needs for a quick recovery, the highest data security and the best engineers available to get your data restored and your systems back up and running. ATL Recovery has a transparent data recovery process with no hidden costs. The evaluation process will ensure that you know exactly what is recoverable before deciding to go through with the data recovery. We offers several data recovery service levels to accommodate every situation, budget and urgency. Turnaround times are dependent on the complexity of the data loss. The table reflects typical or average turnaround times. Q: Is ATL Recovery's Data Recovery Services just for Seagate's / WD's customers? A: We provide data recovery services for all drive types and brands. Q: How does Data Recovery pricing work? A: You pay a flat engagement fee per drive. If our recovery team is able to save data from your hard drive, we subtract the evaluation fee from the total cost of the recovery. Q: What will happen to my old hard drive if I send it to you? A: If your data is recoverable, we return the data to you on a new Seagate / WD hard drive. Your damaged drive will be recycled safely and securely in an environmentally responsible manner. Q: After I pay for an evaluation of my drive(s) and send to ATL Recovery, how can I keep track of the case status? Q: How do I submit a data recovery request for a multi-drive system? Q: What is the media category for a Network Attached System (NAS) on the submission form? A: Please submit single drive NAS as a “Single HDD” (Hard Disk Drive) and multiple drive NAS as a RAID+number relating to the number of drives. Q: If I lost data on one of the RAID drives, why do I have to send in all of the RAID drives for recovery? A: In most RAID disk failures, the failure isn't a complete catastrophe and the user can still easily access data within the RAID. RAID systems are typically used for speed and/or redundancy of data. As a result, they can sometimes have a catastrophic failure, such as corruption of the RAID array or multiple disk failure in which your data isn't accessible. If this type of failure occurs, and you are not able to see the redundant mirror image of the data within the RAID, something serious has happened. In this scenario, rebuilding the array with each independent disk included is the only way possible. For that reason, you will need to send in all of the RAID drives for recovery. Q: How should I package my media and ship it to ATL Recovery Services? A: If you are shipping an internal drive, please make sure to wrap your media in static-free packaging. Please do not send us a computer system, only the media device is necessary. Please check with your manufacturer’s instructions on how to safely remove the media and how this action potentially affects your product warranty. Also, please do not send your power supplies and accessories as they will be disposed of. Q: How do I find my recovered files on the external drive you sent me? In Windows, finding the "Users" folder is key to locating the important data once a recovery is complete. Searching using Windows Explorer is the simplest way of finding that folder. The “Users” folder contains the "My Pictures", "Desktop", "My Documents", etc folders. In Mac, the "Users" folder is typically where critical files will be stored, similarly to Windows. Extension searches are a little bit different in Finder. Using the drop down menus to search by "Kind" will display general file types. External drives NOT set up for Time Machine will likely be the in the same folder organisation style as before the failure. External drives used with Time Machine Back-ups can be very tricky to locate data. Data will be spread throughout the back-up dates. Usually the most recent back-up date will contain the lost information, previous back-ups will contain data that was deleted in the past if those files are needed and cannot be located in the most recent backup. Data will be stored in a folder titled "backups.backupsdb". From there, one must navigate the folders to find the most recent backup and locate the “Users” folder within that back up. Time Machine Recoveries can also show what should be a folder as an inaccessible file. Those files mean that in that current back-up, there were no updates from a previous back-up. In order to locate data in these situations, navigate through previous back-ups until the file is located. Q: Why did I receive my warranty replacement drive without my recovered data on it?